The nice thing about the Randroid Belt — that ring of debris comprising Web sites and their regular contributors revolving around the central sun of Ayn Rand in a decaying orbit — is that it's mainly empty space with little or no gravity holding anything (such as an argument) together. Bad for them. Good for us. We take a running-jump, spread our arms, and soar into the vacuum of inter-Randroid space until we land on a smallish, rockyish, uglyish piece of Randroid Real Estate calling itself "SOLO", an acronym for Sense Of Life Objectivists. We have been here before and know the terrain well. "I have more thoughts on how Stephen Parrish, a US-based academic who holds religious views, has criticised Objectivism and its treatment of religion. [The following] paragraph struck me that when you are debating with someone who believes in a God …that it is a waste of time beyond a certain point. I suddenly realised that Parrish, though no doubt clever, . . . "
LOL! Dear readers, I have been around the Randroid Belt long enough to know that when a self-styled Randroid asserts that someone on the intellectual opposition is "clever," it means nothing more than (1) the Randroid did not grasp his opponent's arguments, or (2) the Randroid did grasp his opponent's arguments and was completely stymied by them. Judging by the overall excellence of Mr. Parrish's arguments in the above downloadable PDF, and the general floundering by Mr. Burroughes in his response, I would say that the latter simply cannot answer the former. (As an example of another typical psychological reaction on the part of Objectivists when debating or discussion something with them, consider this: within recent memory, I posted to SOLO a 1-question quiz on some very basic music notation challenging one of the Randroid regulars there to prove his musical knowledge by answering the single question correctly. After failing to do so, he asserted that the question itself must have had a "trick", i.e., he was apparently suggesting that I had fooled him into answering a question incorrectly by posing a question the answer to which he simply didn't know. "Also, physical reality can in fact sometimes be caused to exist in a certain manner by consciousness. For example, I consciously chose to be here typing on my computer rather than staying in bed, and this makes the physical world a somewhat different place than it otherwise would have been. The only way to deny this is to say that consciousness has no effect on physical reality, and is thus epiphenomenal. I don’t think this is what Objectivists really want to say; they agree that man’s mind can affect the physical environment. Of course the way that we cause things is quite different from God’s creating the universe; but again God is a quite different, and much greater, being than we are." Huh? How is the world "a different place?" by Mr Parrish moving from his bedroom to his office other than that he has moved from A to B as a result of deciding to do so? That's exactly what Parrish means by "different"; no more, no less. He didn't say "better"; he didn't say "worse." The world becomes different when the arrangement of elements changes to some other arrangement . . . I believe that's what the 2nd law of thermodynamics is all about: the world constantly changes as its elements move from arrangements of low probability (order, structure) to arrangements of high probability (disorder, undifferentiated uniformity). Parrish is not trying to make a profound scientific point; just an obvious metaphysical one: one of the things consciousness can do in addition to merely observing reality is, by means of a property of consciousness called "will", it can move itself, and the physical entity that accompanies it, from Room A to Room B. That's a configurational change in the universe, if only a very small one. Parrish doesn't deny that one of the things consciousness can do is "apprehend". Parrish doesn't deny that one of the things consciousness can do is "form conclusions." and we act to achieve a certain goal (go to the office, call a friend, launch an IPO, etc). Parrish doesn't deny that we can act to achieve a certain goal. Burroughes denies, however, that we can act by means of our conscious will without having the desire or need to "achieve" any goal. We might simply be pacing our home aimlessly to kill time while we wait for a family member to undergo surgery. And while Burroughes might object that by claiming that, ergo, our goal is to kill time, the point is, no goal was set to "go to the office" or "go to the living room"; we simply walked, and our immediate goal was more likely "don't bump into a wall or a door", and we simply found ourselves in the living room at one moment and the office the next. The point here is that, even aimless following of one's conscious will leads to the arrangement of elements being different at one time from another. A simple point that is apparently lost on Burroughes entirely. And of course this changes physical reality in that sense. That is true, but also uncontroversial and as Parrish acknowledges, no-one would contest that. But Parrish's point is that even such an uncontroversial and uncontested act flies in the face of the officially held view by Objectivism on consciousness, which is that (1) it observes only, and (2) it is therefore incapable of effecting change in physical reality. All the while, we hope to meet our goals by treating reality as it is, not as we would want it to be. That is the vital point. For instance, if I decide to float a company on the stock exchange and ignore the prevailing state of the market or the rules governing it, disaster follows. Burroughes appears to be speaking of entrepreneurship here. Entrepreneurs need very little information, if any, about the "prevailing state of the market", because everything an entrepreneur does (or more precisely in Misesian terms: everything the entrepreneurial function does) is geared toward the FUTURE STATE OF AFFAIRS, OR FUTURE STATE OF THE MARKET, NOT THE "PREVAILING STATE" OR THE PAST STATE. The "prevailing" state of the market is the result of past value scales and exchanges. There's no profit — no potential entrepreneurial profit — in exploiting that because there's nothing to exploit. Entrepreneurs have certain expectations regarding the future that others just don't see, or don't feel, or don't channel. However one wishes to put it. If it were only a matter of reading the "prevailing" state of the market, there would be lots and lots of highly successful entrepreneurs, since we're all privy to more or less the same amount and the same quality of information. That successful entrepreneurship requires a kind of clairvoyance regarding an expected future state of the market shows why there are so few really successful entrepreneurs; why the failure rate is so high for entrepreneurs; why the rewards are so great for the successful ones; and why it's a kind of talent, and cannot really be taught (despite many university courses claiming to do so). If Mr. Five-by-Five, Porky Perigo — a sort of Jabba-the-Hut of Objectivism — left my blog up on SOLO, Burroughes will see a link to an old lecture by economist Israel Kirzner on entrepreneurship that he gave at FEE (Foundation for Economic Education) sometime in the 1980s. It's worth watching. Of course, as he acknowledges, Rand and others glory in how people change the world by re-arranging the stuff of nature to suit their purposes, by constructing buildings or machines, farming the Earth, writing computer software, sequencing the human genome, or whatever. But in order to do this successfully to meet human aims, people must observe the old adage that "nature, to be mastered, must also be obeyed". If a blacksmith, say, wants to create a metal part by the use of fire, then he has to understand that fire is going to burn his hand off unless he takes precautions regardless of whether might subjectively prefer that it does not. That is what Rand means when she says "existence exits". If we ignore the real world because it does not fit our desires, our desires will lead us eventually to existential disaster. That is what Rand and others mean when they assert the primacy of existence. She is not denying that humans can effect change in the world when they use their minds. It is one thing to say that we can use our minds to help us change the stuff of nature in a certain way, but it would be quite another to suggest that we can do so by changing, say, the physical laws that govern the world. According to Mr Parrish, gods are able to do this (indeed, this is a definition of a miracle, like Christ being able to walk on water or convert water into wine). According to Mr. Parrish, there is no logical necessity to the laws of physics because to think them different from what they are entails no logical contradiction. He's right. That immediately suggests the question of why, then, the laws of physics happen to be what they are when there's no restriction on them being something else. Carbon is formed from the nuclear reactions inside of stars — carbon-based life IS composed of "star-stuff" — but to get from helium to carbon requires many unstable steps, so it's unlikely that the same sort of synthesis that formed, e.g., helium out of hydrogen would just keep on going until an element like carbon appeared. Astrophysicist Sir Fred Hoyle realized that the only way, realistically, for carbon to form inside a star would be if 3 helium nuclei simultaneously fused together. That, however, would be an extremely unlikely collision, yet we know that stars, in fact, do produce carbon. If Hoyle was right about the triple fusion, how could such an unlikely event happen inside of stars routinely? Building on work by earlier scientists, Hoyle discovered that the natural vibration rate of atoms — nuclear resonance, similar to the acoustic resonance of vibrating string instruments — greatly lowers the improbability of this occurrence. Two helium nuclei undergo fusion. This occurs because of a "sympathetic vibration" or nuclear resonance between the two helium nuclei. The element that is formed from 2 helium nuclei is called "beryllium", which is an element that also exists here on Earth, but with an important difference: terrestrial beryllium has an extra neutron that makes it stable. Stellar beryllium does not have this additional neutron and is so highly unstable that it self-destructs in 0.000000000000001 (one-quadrillionth) of a second. In order for carbon to form, a 3rd helium nucleus would have to fuse with beryllium within that 1-quadrillionth of a second. The way this occurs is by means of a second resonance, this time between the unstable beryllium and a 3rd helium atom. The resonance between unstable beryllium and free helium is of just the right frequency to allow the 3rd helium atom to fuse with the beryllium, forming carbon . . . the basis of life. A few years later, it was discovered that another important element for life was also created by means of an unlikely resonance among nuclei: oxygen. If you wanted to produce carbon and oxygen in roughly equal quantities by stellar nucleosynthesis, these are the two levels you would have to fix, and your fixing would have to be just about where these levels are actually found to be… A commonsense interpretation of the facts suggests that a super intellect has monkeyed with physics, as well as chemistry and biology, and that there are no blind forces worth speaking about in nature. The numbers one calculates from the facts seem to me so overwhelming as to put this conclusion almost beyond question. I do not believe that any scientist who examined the evidence would fail to draw the inference that the laws of nuclear physics have been deliberately designed with regard to the consequences they produce inside the stars. One of those consequences, by the way, is life. The cause of nuclear resonance, by the way, is something called the "Strong Force," the fundamental forces holding protons and neutrons together, and one of the 4 fundamental forces in the universe. If the Strong Force were just a bit stronger, or just a bit weaker, the necessary resonance between helium-helium and beryllium-helium would not exist and therefore neither would carbon. If carbon didn't exist, life would not exist. Randroids remain stolidly phlegmatic on hearing things like this, and their usual response is to yawn and say "So? Existence exists. And if it didn't, we wouldn't be here to ask questions about it." A violin has 4 strings, tuned in perfect 5ths to E, A, D, G. The wooden pegs used for stretching, or tuning, the strings, do not have "stops", "catches," or ratchets on them; the pegs stay in their holes simply by friction, so they can be turned any amount, more taut or less taut. The traditional tuning for playing western classical music — E, A, D, G — is a highly improbable arrangement of the tuning pegs. If you came across a violin in some uninhabited woods, and after carbon-dating it, concluded that it was many, many hundreds of years old, if the strings were, astonishingly, tuned to perfect 5ths of E, A, D, G, would you really conclude that such tuning "Is what it is" and was simply the product of chance? True, a tuning of E, A, D, G, is mathematically as unlikely as any other tuning; but no other tuning allows the same ease of playing everything from Bach to Prokofiev, so wouldn't the intervals of perfect fifths not only be improbable mathematically speaking, but surprising, given that they allow so many other things to occur? And wouldn't such surprise entail a prima facie argument against the idea that such perfectly tuned intervals were products of chance, or the inherent physical properties of strings and wood? I think so. And what is true of the surprise we would experience at finding such a tuning on a violin is the same sort of surprise we would — and should — experience at finding a similar kind of tuning among helium and beryllium nuclei. >>>>The other day, my comments about objectivism and religion . . . attracted a fair bit of commentary. This item, by a blog dedicated to attacking objectivism, is pretty vitriolic. You can get some idea of its approach by the strapline at the top: "This blog practices "Randroid Diminishing": The lampooning and lambasting of the major sites and personalities that worship Objectivism." Marvellous. I hope the blogger enjoys his hobby. Hobby? Brushing away flies is a joyous vocation. >>>>Decaying orbit? Really? Given the continued heavy sales of Atlas Shrugged and vibrancy of various groups sympathetic to her ideas, this is nonsense. Sales of Atlas Shrugged in no way indicate that the so-called philosophy of Objectivism is any more influential or accepted (among academics or non-academics) than it was decades ago. The majority of people who have read and enjoyed Atlas Shrugged read it and enjoyed because of the storyline, not because Galt's speech transformed them into unthinking knee-jerk Randroids. >>>>All kinds of people attack Rand. If her ideas were "decaying", would such attackers bother? What is eating them? To be precise, we at "Around the Randroid Belt" never wrote that Ayn Rand's ideas were decaying (assuming they were alive to begin with) – read the relevant post again to confirm this for yourself. We wrote that the Randroid Belt – the ring of debris comprising Web sites like SOLO, Objectivist Living, etc., ad nauseam – was decaying. That's a bit different, wouldn't you say so? >>>>There is so much passive-aggressiveness in that paragraph. >>>>I might as well say that when a person writes "dear reader", that they are being patronising. Nonsense. "Dear reader(s)" is simply an old-fashioned stylistic device used in 18th-and-19th-century belles lettres. Can I help it if I'm literate and you're a trousered ape? >>>>When I said that Parrish was/is clever, I meant it without any sort of sneer or attempt to dismiss him (he also seems a very courteous writer, something the blogger would do well to learn from). I thought some of his article was interesting and had valuable points, but I disagreed with the central thrust of his argument. Here's some sound psychology for you: paranoids, schizoids, and Randroids, are unaware of their own lunacy. (That's one of the signs of their lunacy.) Members of a cult are unaware that they are members of a cult. >>>>No; when someone thinks they have been tricked, that is what they mean; it does not necessarily imply that the person shouts "you trickster" when they confront an argument that does not sit well with the rest of their views. Wrong. A cult member forced to confront his lunacy by an outsider's argument will assume a defensive posture by crying "trick!" or "fraud!" They always have. They always will. As a final note regarding your state of denial: there are powerful psychological defense mechanisms that get installed and habitualized in the minds of cult members (Randroids, Scientologists, etc.). This is why concerned mommies and daddies hire professional De-Programmers to force a confrontation in the mind of the cult member and break through those defenses so that their child can continue his life as a real, live human being after having been transformed into a clone of Pinocchio by the cult, its dogmas, and the worship of its founders (Hubbard, Rand, etc.). Huh? "Honorably"? "Honor" is a character trait. What does any character trait have to do with whether or not your opponent's ARGUMENT — his ARGUMENT, dimwit — is valid or invalid? What precisely is your procedure, Burroughes? Do you say to yourself, "According to my subjective criteria, it's apparent that Jones is dishonorable; ergo, his criticism of Rand's epistemology must be wrong, or not worth considering." ? "Smith is honorable (according to my own subjective criteria); ergo, his argument in support of abiogenesis is valid." ? Yo, Burroughes! That's called "ad hominem." >>>>, and is showing good process in terms of how they think and deal with an argument. I don't know what this means. "Good PROCESS"? Arguments make sense or they don't make sense. 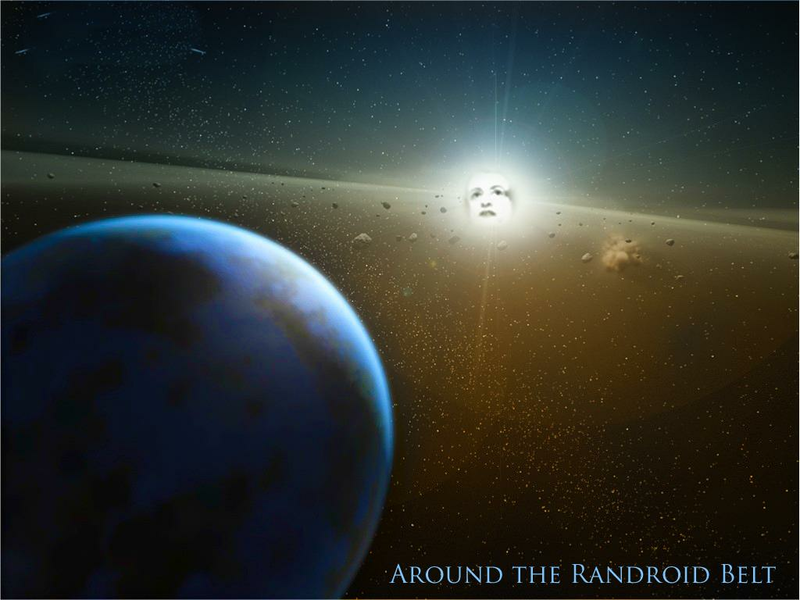 When Parrish slammed Randroid Adam Reed for his circular reasoning — i.e., Reed insists that before claiming to adduce evidence for an entity called "God," one must first prove that such an entity exists; then Reed reverse himself and claims that before being able to prove that such an entity as "God" exists, one must first adduce evidence for it — that was a damning indictment of Reed's ARGUMENTATIVE PROCESS. It's obviously circular, and therefore invalid. But because you have a prior agreement with Reed's materialist/reductionist/atheist position, you think Reed is valid and Parrish invalid. >>>>A lot of the errors that come up in arguments are not signs of fraud or evil, but laziness, in my experience. Fine. In which case, WHAT DOES "HONOR" HAVE TO DO WITH ANY OF THIS? >>>>I would not disagree that I can decide, by my will, to something, and my physical relation to the world has, by my moving, subtly changed. Excellent. That's all Parrish is saying. >>>>But I also have not changed the external world unless I physically change it by touch, by my actions. Excellent. Parrish did NOT make that claim. >>>>The arrangements of nature are not changed simply because I will them to do or look at them in a different way, for example. My car does not become five times larger because I move right up to it. It is not elastic. It just looks bigger, etc. You're kicking an open door. Once again: PARRISH DID NOT MAKE ANY OF THOSE CLAIMS! >>>>I don't deny we can act without the desire to "achieve" anything; there is a time and a place for quiet relaxation where your mind is not focused on anything. But if you are in such a state (or fast asleep), then how are the elements of nature being changed other than through processes going on all the time, such as radioactive decay, erosion, or whatever? Excellent. That's all Parrish was saying. I can tell you don't know what you're talking about. An entrepreneur is VERY concerned about competition and what other businessmen and investors are thinking, because other businessmen and investors (like himself) are "future-oriented", and NOT especially obsessed with the "prevailing" state of the market. This means that those other businessmen and investors might be positioned to divert profit-making opportunities to themselves. Again, if that fat, diabetic, alcoholic fairy whose name means "Danger!" in Portuguese has left my former blog intact on SOLO, you will find a link to a lecture on Competition and Entrepreneurship by Austrian economist (and pupil of Mises) Israel Kirzner. It's worth reviewing, since you're a bit rusty on the significance Austrians place on the difference between "present state of the market" and "expected/anticipated future state of the market." It's actually fundamental to Austrian notions of the the market process and the idealized "Evenly Rotating Economy." So is the tuning of a violin in perfect 5ths. But the question for those who are not wearing mental straitjackets: WHY are the laws of physics what they are when there's a lot of variability as to what they could be? Just as the tuning of a violin COULD be different from that of perfect 5ths — and most likely WOULD be different if the tuning were simply a matter of chance rather than design. >>>>they are not the consequence of some Creator's arbitrary will. It is one thing to state that there is no logical necessity as to why, say, gravity is as it is (and we are still learning more about it); it is quite another to then leap to the conclusion that it must have been caused by some sort of Supreme Being. Uh, yeah, but researchers like Hoyle, et al., never mentioned a "Supreme Being." They mentioned a "super-intellect", which is not exactly the same thing. If a violin's tuning in perfect 5ths strongly suggests design and intent by an intelligence (which it most assuredly does), then so does the double-resonance inside of stars that causes carbon to form from 3 fused helium nuclei: first into a highly unstable form of beryllium, and then into carbon. Objectivists yawn at this; Hoyle did not. Lucky for us, Hoyle was not an Objectivist. >>>>Creationists make the same leap, in arguing for a Creator, when discussing gaps in fossil records. Once more, Burroughes: HUH??? The significance of gaps in the fossil record is not that they are consistent with creationism, but that they are inconsistent with Darwinism and gradualism. >>>>Richard Dawkins, in his recently published book, the God Delusion, has this to say about the argument for God on the basis of complexity (page 136): "A designer cannot be used to explain organised complexity because any God capable of designing anything would have to be complex enough to demand the same kind of explanation in his own right. God presents an infinite regress from which he cannot help us to escape." What Dawkins doesn't admit to is that an infinite regress applies just as much to a purely materialist explanation of origins as it does to one that assumes a creator-deity. By the way, at the end of Ben Stein's documentary "No Intelligence Allowed," Dawkins himself admitted that he is willing to accept an argument-from-design for terrestrial life . . . so long as the desiger is not "God". >>>>if existence was different from what it is, we might not be here to debate it. That doesn't change the signifance of the question "WHY, then, is the strong force what it is, when it could have been different?" You have evaded that question by trying to point to what the consequences might have been had they actually been different. That's a response to a different question (That question would be: "What would the consequences likely have been for the possibility of living organisms coming into existence had the strong force been different from what we find it today?) Get it? That's a very nice question, but it's a DIFFERENT question from asking "WHY is the strong force precisely what it is when no other force dictates that it be what we find it to be today?" And if a violin were discovered atop Mt. Everest, carbon-dated to 500 years ago, yet with strings not only intact, but tuned in perfect 5ths to E, A, D, G, an Objectivist archeologist would yawn and say "It couldn't have been any different from how we found it. And if it were different, why would we be surprised? Perfect 5ths have as much probability of appearing from the way the wooden tuning pegs are turned as any other interval." Well, uh, yeah, but why would every string be equidistant from its neighbor in terms of a musical interval? Why would intervals appear that were just those specific intervals that are amenable to a specific kind of music from a specific time period — western classical music from about the time of J.S. Bach to about the time of Richard Wagner? >>>>"There is no evidence for the belief that the physical constants could have had values different from what they are. Adam Reed has it backward. The question is not "what evidence is there that physical constants could have been different." The question is: "What evidence is there that the current constants must be what they are?" Answer: none. Ergo, it follows, that they could have been different. The fact that Reed committed himself to circular reasoning in an earlier part of his argument (see above), augurs well neither for his "reasoning process," nor (dare I say it?) for his "honorableness." And why do waste your time on these people? They've maximized their intellectual potential. There is no way they will ever be any better than they are -- and what they are is not nearly as bad as what they could be. What you are doing is the philosophical equivalent of kicking the dog. Mr. Wyatt, many thanks! You made my day. This evening I shall pour myself a peppermint schnapps and drink a toast to your good name and reputation! And I will pour myself a glass of cheap scotch in mourning for such squandered genius. Jacob Wyatt, he "wastes" his time" because long ago he received an incomparable GIFT from Ayn Rand. He knows that those who are "floating signs" hallelujahing her are really "floating signs" dissembling, masking the emptiness of their admiration, respect and fellowship concerning her. The counter-gift must be returned. Not necessarily at once, but it must be returned, and it must be greater than the GIFT itself. This is what Baudrillard gave to Foucault in his book Forget Foucault. This is what Darren is returning to Rand. He is making her more radical than she ever dreamed of being. So am I. This is true for any system. And the randroids are no exception. Those words don't seem to attatch themselves to tangible things; yet they seem to ring true. I will meditate on them. The harmonic resonances are central to Doris Lessings science fiction novels of Shikasta the doomed planet whose tragedies and chaos stem from unharmonious harmonics.